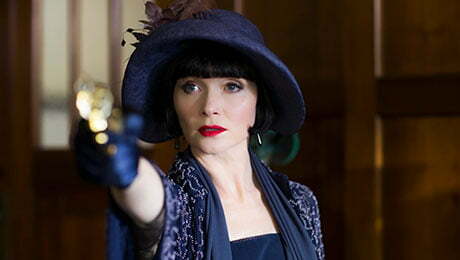 North American streamer Acorn TV has boarded the new feature film and spin-off series of Australian detective drama brand Miss Fisher’s Murder Mysteries. Under the deal, movie Miss Fisher & the Crypt of Tears and new series Ms Fisher’s Modern Murder Mysteries will premiere exclusively on Acorn TV in North America later this year. Ms Fisher’s Modern Murder Mysteries, which will be become an Acorn original series, comes from the creators of the original ABC 1920s-set drama Miss Fisher’s Murder Mysteries, which aired in Australia between 2012 and 2015. The new drama moves the setting to the 1960s and follows the story of Peregrine Fisher (Geraldine Hakewill), who set outs to become a world famous detective, following in the footsteps of her famous aunt Phryne Fisher, who has gone missing in New Guinea and left her niece a fortune. Miss Fisher & the Crypt of Tears sees Essie Davis reprise her role as Phryne Fisher and continues the story of the detective heroine in the 1920s, exploring a case of ancient treasure in the Middle East. Both titles come from Australian indie Every Cloud Productions, with co-founders Fiona Eagger and Deb Cox exec producing. Acorn TV brokered the deal with distributor All3Media International. Don Klees, VP of programming for the Acorn brands at parent RLJ Entertainment, said the new deal and recent Acorn acquisitions such as Judy Davis’s Mystery Road, Guy Pearce’s Jack Irish and Marta Dusseldorp’s A Place to Call Home meant Acorn TV was a leading destination for US audiences seeking premium Australian drama. As well as its significant presence in North America, Acorn TV has been broadening its global streaming presence recently. At the end of 2018, the service launched in an additional 30 countries including Australia, New Zealand and India.